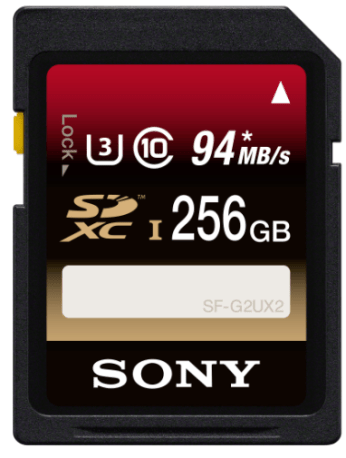 21st September 2016: Sony India today expanded its range of memory cards with the launch of its new High-Speed UX series. The new SD card is the “Highest Capacity Card” launched by the Company and comes with fast data transfer speed and 4K compatibility for cameras. The new card is ideal for professional or semi-professional photographers and videographers as it is equipped with enhanced speed and transfer time to enable minimized workflow speed with improved efficiency.Available in storage capacity of 256GB, the new memory card comes with data transfer speeds of 94MB per second (read) and 70MB per second (write). It also features an Ultra- High Speed (UHS Speed Class 3) rating which amplifies speed and quality of the images captured. The memory card also supports the 4K technology resulting in smooth recordings as well as minimal buffering when capturing still images in burst, multi-frame or panoramic modes. Further, the SD card equipped with high reliability is protected with molded resin, making the memory card remarkably durable, shockproof and resilient to extreme temperatures. The SD Card UXseries is available across all Sony Center and major electronic stores across India.